Nintendo All-Star! 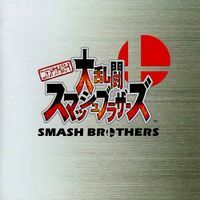 Dairantou Smash Brothers Original Soundtrack is the official soundtrack for Super Smash Bros. This album includes every music track from the game. The second disc includes four remixes and a compilation of all sound effects from the game. OBS. : All CLUB MIXes arranged by Shinji Yoshimura vAin. This page was last edited on August 9, 2018, at 00:49.